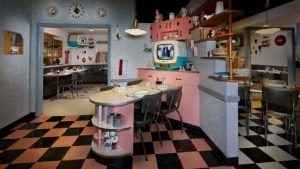 Walt Disney World has myriad dining options at your choosing. 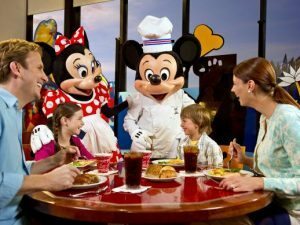 Between food carts, food trucks, counter-service restaurants, table-service restaurants, and a variety of resort restaurants, it can seem overwhelming to choose the right place for your family to eat on your trip to Disney World. There is a lot to consider when you make this decision. Cost, cuisine, whether you want a buffet, family-style service, or characters to be present all factor into diner’s calculus when picking a restaurant. 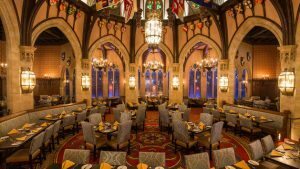 The Walt Disney World Resort has a wide variety of dining choices and magical experiences just waiting to be discovered. Here are the twelve restaurants you should most certainly look into for your visit! 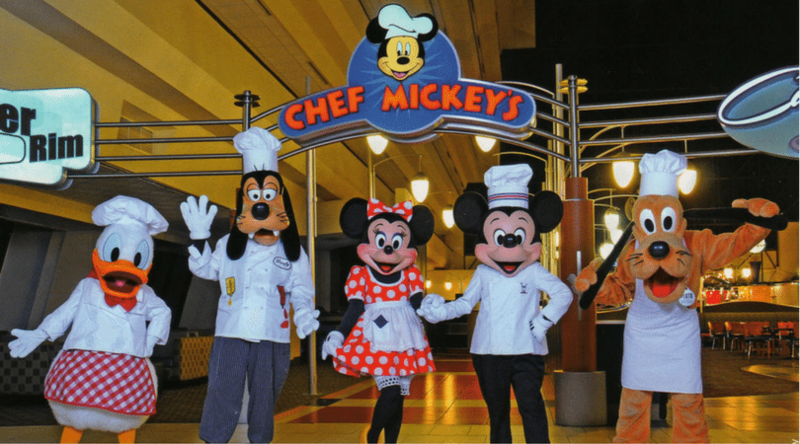 Located in Disney’s Contemporary Resort, Chef Mickey’s is a stellar character dining experience. You’ll dine with Mickey, Donald, and Goofy while watching monorails zip through the resort. 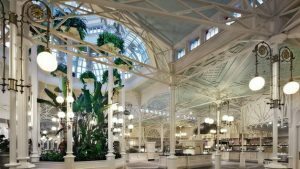 In Disney’s Grand Floridian resides 1900 Park Fare. 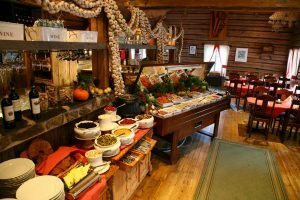 This breakfast and dinner buffet is an excellent choice and comes with character dining as well. Characters include Mary Poppins, Bert, Winnie the Pooh and his friends from the Hundred-Acre-Wood. Along the glistening Echo Lake of Hollywood Studios, 50’s Prime Time does a magnificent job at capturing the flavor of classic family dining. Make sure you keep your elbows off of the table and mind your manners and for heaven sake, make sure you eat your vegetables or Cast Members will give you a good scolding! 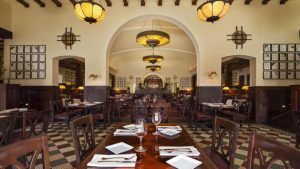 Closer to the gates of stardom at the front of Hollywood Studios, this intricately-designed restaurant celebrates the cinema’s first renaissance. 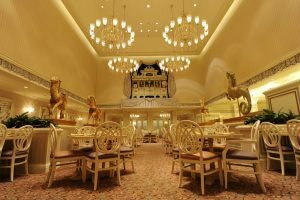 You can spend your entire dining experience simply admiring the décor and attempting to identify the various celebrity caricatures displayed across the walls. 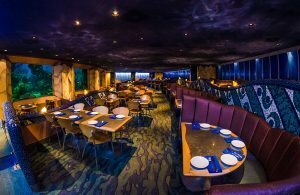 Located next to Epcot’s grand aquarium and Finding Nemo attractions, the Coral Reef is one of the most peaceful restaurants on property. You get to dine next to one of the biggest aquariums in the world, and may even come face to face with sharks and stingrays. As you journey across Epcot’s World Showcase, you’ll come across this Canadian steakhouse. Le Cellier boasts a cozy atmosphere and lives up to the steak specialties in its name. 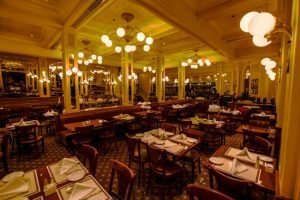 Continuing your Epcot journey, be sure to treat yourself to some classical French cuisine at Chefs de France. From seafood specialties to delectable desserts, this restaurant is a must. 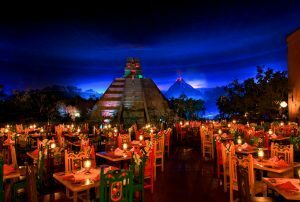 Upon entering the grand pyramid at Epcot’s Mexico pavilion, you will discover the San Angel Inn. This amazingly detailed restaurant transports you back into 17th century, and gives you a gorgeous view of the Mexican jungles. You may even see a volcanic eruption. Akershus is a royal banquet hall located in the Norway pavilion. You’ll start off your experience with a greeting from Princess Belle herself. During your dining experience, you will get to meet Ariel, Snow White, Cinderella, and Aurora. In the heart of Main Street, U.S.A. the Crystal Palace is a magical buffet where light shines in from every angle. Winnie the Pooh and his friends Tigger, Piglet, and Eeyore are all ready to dine with you. Your children will also love participating in the famous “Poohrade” around the restaurant. Located in New Fantasyland, Be Our Guest could possibly be the most ornately themed restaurant in all of Magic Kingdom. You can dine in the grand ballroom and even the mysterious West Wing. Each section of the castle is certainly worth exploring. 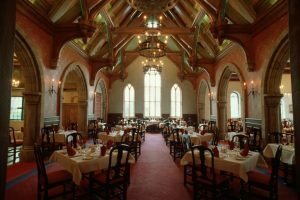 Within the iconic castle in the center Magic Kingdom resides this spectacular dining experience. 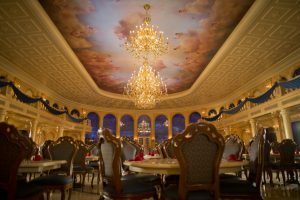 Here you will meet Cinderella, Ariel, Snow White, Aurora, and Jasmine for a meal you’ll never forget. Disney Parks Holiday Specials 2016..Revealed! !